Another contender in the great gluten free pasta contest is Sam Mills, who started up in 1994 in Romania as a forerunner in the corn milling market. Sam Mills has gone on to establish a milling conglomerate of near-global proportions. 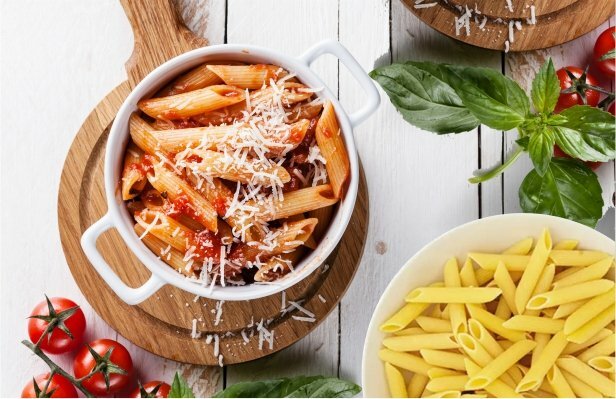 Their specialty is gluten free pasta made from corn, rice, peas, black beans, chickpeas and lentils, along with gluten free tortilla chips, polenta, dinner kits and more. This month, we’re featuring Sam Mills High Protein Gluten Free Penne, Spaghetti and Fusilli.